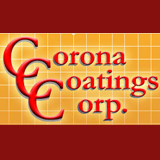 Corona Coatings has a well-established reputation throughout the Inland Empire where we have expertly perform services are form wall insulation, tank coating, Residential and Commercial SPF Roofing and Insulation, Commercial Storage Tank Insulation. So we are here to serve you better call the best. Our office hours are Monday through Friday, 8:00 AM to 4:30 PM, and we offer free onsite estimates to Riverside. Corona Coatings Corp. is licensed, bonded, and insured.